When music comes on, Mary moves. Mary Manzella is recognized nationally as a master of every aspect of dance: competition, performance, choreography, teaching, and judging. Mary is a National Swing Dance Champion and has national awards for Best Showmanship, Best Choreography, Best Footwork, and Top Female Teacher. Her teaching reaches people from Boston to Honolulu and from age five to ninety-five. Mary is a two-time judge at the U.S. Open National Swing Dance Championships and a judge at other prestigious events. The California Swing Dance Hall of Fame recognizes Mary’s achievements, as she is a Hall of Fame inductee and a member of the advisory board. Anyone who has taken lessons from Mary has seen her case full of trophies. Mary received a compliment recently at Dallas Dance when a dancer smiled and exclaimed, "You're a legend!" Mary was especially honored when the San Diego swing dance community gave her a tribute for her dancing and for her contributions to the dance community. Mary is honored by the admiration and respect that she receives in the dance world, and she uses it to share with people the wonderful gift of dance. Mary is especially known for her teaching—from basics to advanced. In one competition in San Diego, five of Mary’s students placed in the first, second, and third slots. Mary shows her students the ropes in major national competitions. Mary's teaching philosophy is to teach people how to have fun dancing to any type of music at any place in any atmosphere. Mary has become the Dance Director at the San Diego Swing Dance Club. Mary developed for the club the most-fun and most-effective beginning class available anywhere to teach people the fun of West Coast Swing. The Swing Club has become known as a fun place to learn to dance, and both class attendance and club attendance has increased by leaps and bounds. Above all, Mary dances—Swing, Argentine Tango, and all forms of Ballroom. When music comes on, Mary moves. Mary entertained people with her dancing even as a child. She began dancing at age four. By the time she was ten, she was performing ballet, tap, and Hawaiian dance exhibitions in her hometown in New York. As a student, she choreographed her high school musicals, which attracted countywide audiences. Mary is a teacher at heart. She earned a degree in education from Adelphi University on Long Island and then began a career in elementary education. Her second grade class had the highest scores in spelling in the state of New York on a standardized state test. During her career Mary completed 30 units of post-graduate work at Queen’s College and Hofstra University on Long Island, Soho University in Japan, and San Diego State University, and she taught elementary school in New York and California for 12 years. As a young woman with a college degree and teaching experience, Mary moved from New York to San Diego. Her life became dancing and elementary school teaching. 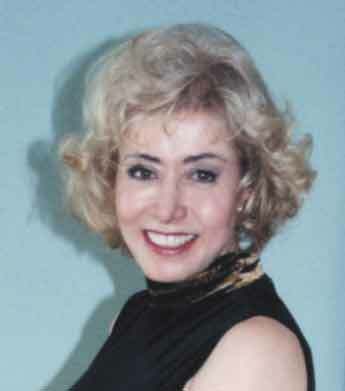 Mary began formal dance training and taught with Arthur Murray Dance Studio. She discovered west coast swing at the San Diego Swing Dance Club. She practiced dancing so much that she could have bought a second house with the money she spent on lessons. Mary continued her teaching career in San Diego and brought her dancing into the classroom. She voluntarily produced and directed four elaborate musicals at her elementary school. People were amazed at what she was able to get the children to do. At the end of each performance, there wasn’t a dry eye in the theater. Mary became a champion. Mary had competed in several competitions when the San Diego Swing Dance Club suggested that Mary team up with Lowell Gosser to represent the club in the Western Regional Swing Dance Championships and National Swing Dance Championships. From both competitions, they brought home the first place trophy. Mary continued to compete in swing, Latin, and ballroom dancing. She placed in the finals of every competition that she entered, and she won many. Mary and Lowell were honored when Pilar Wayne (John Wayne's surviving wife) asked them to perform at a private party she hosted. The guests included such notables as Milton Berle, Danny Thomas, Donald O'Connor, Tony Martin, and Cid Charisse. Mary and Lowell began a new challenge, the Argentine tango. Mary and Lowell introduced Argentine tango to San Diego in 1986 by performing and by bringing in cast members of tango shows to teach workshops. Mary has made comebacks after overcoming difficulties. Just when her dancing career was taking off, health problems forced her to the sidelines. She took a one-year leave of absence from public school teaching and continued to teach dance on a limited basis. Then as her health improved, Mary’s dance career began to flourish again and she never returned to the classroom. Mary owned and operated the Emerald Ballroom and continued to win first place trophies in both swing and Argentine tango. When her father became ill, Mary closed the Emerald Ballroom and temporarily left the dance scene to devote herself to his care until he passed away. She then returned to competition, judging, and teaching. Mary again took time away from her career to devote herself to her mother’s care until her mother passed away. Each time she was faced with challenges, she came through stronger than ever. Whether Mary is dancing, teaching, choreographing, judging, or entertaining, Mary inspires the dancer within. Above all, Mary dances!